Knowledge applies to facts or ideas acquired by study, investigation, observation, or experience (rich in the knowledge of human nature). There are two aspects of knowledge which are given below………. The resource-based view of the firm transformed the till then existing notion that internal knowledge is inferior in to market activities of the business. 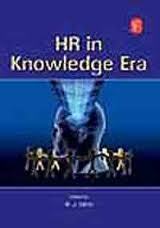 The field of knowledge management is little more than 10 years old. Kael wiig , a consultant and a specialist ,is one of the field’s most prominent advocates and most likely the probable founder of knowledge management movement. He coined the term at a 1986 conference in Switzerland sponsored by United nation – International Labor Organization. Situations bordering a definite function that make the knowledge utilizable. Companies survive by the continuous development of new knowledge based on creative ideas, the analysis of failures, daily experience and work in R & D department. Corporate memories can support these processes by, for instance, recording failures and successes. Individual knowledge must be made accessible to others who need that knowledge. This knowledge must be available at the right times and right place. Knowledge stored in corporate memories becomes persistent overtime and if properly indexed in retrieved easily. Knowledge must be actively distributed to those who can make use of it. The turn-around speed of knowledge is becoming crucial for the competitiveness of companies. To support this process, corporate memories need a facility for deciding who should be informed about a particular new piece. A company can only perform at its best if all available knowledge area are combined in its new products. Product and service are increasingly being developed by multi-disciplinary teams. Corporate memories may facilitate this by making it easier to access knowledge developed in other parts of the organization. It is argued that good knowledge management involves the continuous streaming of this process to improve the learning capacity of the organization. In real organization, the processes interact in complex ways and the nature of these interactions should be taken into account as well. Identify: The identify stage determines which competence are critical to success. For example, every organization needs robust knowledge about its customer needs and expectation, product and service, finance, processes, management, employees and other organization and other environmental aspects. Then the related strategic and knowledge domains are identified. Collect: The collect stage deals with acquiring existing knowledge, skills, theories and experience needed to create the selected core competences and knowledge domains. In order to be useful, knowledge, expertise and experience must be formalized by making it explicit. For example, employee suggestion programmers, domain experts and best practices database might provide a valuable source of knowledge. Store: The store stage takes the nuggets of knowledge and classifies them and adds them to organizational memory. This corporate memory resides in different forms in human minds, on paper and electronically. Share: The share stage retrieves knowledge from the corporate memory and makes it accessible to uses. The workforces makes their needs and personal interest known to the corporate memory which then automatically distributes any incoming new knowledge to its subscribers either electronically or on paper. In addition , individuals, groups and departments often share ideas, opinion gossip, knowledge and expertise in meeting. Apply: The apply stage retrieves and uses the needed knowledge in performing tasks, solving problems, making decisions, researching ideas and learning. In order to easily access, retrieve and apply the right pieces of knowledge at the right time in the right form, more than a query language is needed. Create: The create stage uncovers new knowledge through many average. Such as observing customers, customers feedback and analysis, casual analysis ,bench marking and best practices, lessons learnt from business re-inquiring and process improvement projects, research, experimentation, creative thinking and automated knowledge discovery .It also covers how to elicit nonverbal, unconscious knowledge from domain expert and turn into documented formal knowledge. Sell: The sell stage in which new products and services are crafted from the intellectual capital that can be marked external to the enterprise. Before this stage is possible, considerable maturity should be attained in the other seven stages. Example: If I put $100 in my savings account, and the bank pays 5% interest yearly, then at the end of one year the bank will compute the interest of $5 and add it to my principal and I will have $105 in the bank. This pattern represents knowledge, which, when I understand it, allows me to understand how the pattern will evolve over time and the results it will produce. In understanding the pattern, I know, and what I know is knowledge. If I deposit more money in my account, I will earn more interest, while if I withdraw money from my account, I will earn less interest. The virtual organization is a social networking in which all the horizontal and vertical boundaries are removed. It consists of individuals working out of physically dispersed workspaces, or even individuals working from mobile devices and not tied to any particular workspace. It is the coordination-intense structure, consisting primarily of patterns and relationships, and this form needs the communication and information technology to function. The information and communication technology (ICT) coordinates the activities, combines the workers’ skills and resources in order to achieve a common goal. A Virtual Organization (or Company) is when the company’s employees work apart through computers and usually communicate through e-mail or groupware, but look like a single organization in one place or a virtual organization can be a virtual organization that can take one of the following forms: an organization that outsources the majority of its functions. The driving force in a virtual organization is basically the virtual team. Every organization requires a team to carry over its actives in an orderly fashion, and such a team also exists in a virtual organization. In a virtual team, member primary interaction is through some combination of electronic communication system to tie up with dispersed members who never or rarely come face to face. Here people communicate online using links like WAN, video conferencing. The driving force in a virtual organization is basically the virtual team. Every organization requires a team to carry over its activities in an orderly fashion, and such a team also exits in a virtual organization. In a virtual team, member’s primary interaction is through some combination of electronic communication system to tie up with dispersed members who never or rarely come face to face. Here people communicate online using links like WAN, video conferencing or e-mail. The characteristics presented in this section are considered key factors for a VO by several authors. Each partner in the VO contributes with its core competencies. The initiator determines the most suitable business process related to the complementary skills provided by the different companies in the VO. The synergy effect that is the result of combining all the core competencies enables the organization with a flexible way of meeting the customer demands. The goal is to produce a sort of all-star team. The designation of a VO as a network of independent organizations is widely accepted in the literature. This means that we focus on the VO from an interorganizational perspective (see Figure 1), and that we discuss the concept Virtual Corporation when we talk about VOs according to the model provided by (Scholz, 1997). According to (Aken et al., 1998), the VO must have its own identity. If the identity of the partners remains visible in addition to the VOs identity, it is considered a “Soft VO”. A “Hard VO” looks from the outside like one common organization. Different authors have their own view on Information and Communication Technology as a factor in VOs. (Mowshowitz, 1994) regards the advances in transportation, communication and computing as important for a VO. (Byrne, 1993) considers an information network as essential for companies to link up and work together. The vision of VOs presented by (Davidow & Malone, 1992) is strongly based on ICT. The equality of the partners in a VO leads to an organization without hierarchy. It is called an egalitarian structure by (Sieber, 1998). Other authors also state that Literature study – 17 – there is no hierarchy in a VO. The positive effects of this structure would be enhancing the efficiency and the responsiveness of the organization, and decreasing the overhead (Bultje & van Wijk, 1998). The term “adhocracies” was introduced in (Toffler, 1970) as part of his predictions for the future, and later acknowledged in (Malone & Rockart, 1993) as a description of the management structure in networked organizations. It is the large amount of unpredictable lateral communication that makes this organizational structure extremely coordinationintensive. 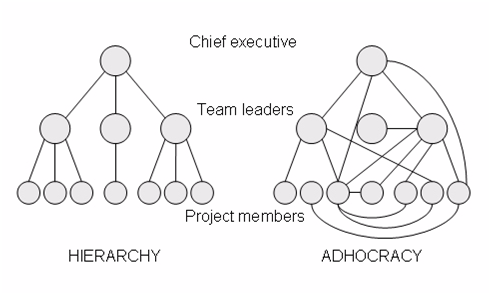 Figure 2, inspired by (Malone & Rockart, 1993), shows a comparison between the traditional hierarchy and the notion of an adhocracy. According to (Mowshowitz, 1999), the logical separation of need from need fulfillment is the foundation of VO. He emphasizes that there, on a managerial level, is a clear distinction between the abstract requirements and the concrete implementation to reach the organizational goals. This is called the “switching principle”. The characteristics presented in this section are considered characteristics of a VO by several authors, but is not regarded as essential to define a VO. The core competencies of a partner are usually not the whole company, unless it is a small company that has specialize its operations within a niche? The smaller size of partners leads to more flexibility and makes it easier for the organization to take advantage of opportunities in the market. Several authors point to the fact that larger companies often are slower in decision making and innovation, which are essential factors in responding to opportunities. It is not easy to determine where one organization begins and another ends when talking about VOs. This is the result of more co-operation among competitors, customers, suppliers, designers, etc. The boundaries of the traditional organizations are redefined by the VO. Distinguishes internal and external boundaries, where the latter is between the VO and the outside world as opposed to boundaries between the internal partners (units) in the VO. According to (Byrne, 1993), the relations in a VO are less formal and less permanent. The relations create dependencies among the partners, but the partners can also survive without them (Aken et al., 1998). Part of the most widely accepted definition of a VO by (Byrne, 1993), describes how companies band together to meet a special market opportunity, and are most likely to fall apart once the need disappear. When a company partners with others in a VO, they enlarge their scope and scale of opportunities available. Small organizations, limited by size and lack of capital, often cannot take advantage of emerging business opportunities alone. As described above, VOs respond to opportunities in the market, and risks are shared by every partner in the VO. (Chesbrough & Teece, 1996) provided informative lessons on how to analyze risks within networked organizations. The authors present a framework to help managers when to innovate by going virtual, when to form alliances, and when to rely on internal development. They state that“as market-based incentives become greater, the risk-taking will increase”. Since VOs are based on sharing information and knowledge, there must be a high amount of trust among the partners. Especially since each partner contribute with their core competencies. The most important contribution on the subject of trust within VOs was provided in (Handy, 1995). This characteristic is related to the fact that every independent partner has its own interests in the VO, and that parts of the VO can be owned by different partners. A partner will, or can, step out of the VO once its goals have been met. According to every partner controls its own resources but not automatically the resources of the whole VO. Along with shared ownership comes shared loyalty. Every employee of every partner in the VO must identify themselves with the VO, and at the same time with their own company. It is important to build a culture within the organization. The concept of a Virtual Culture is discussed by who describe it as a perception of the entire VO held by its stakeholder community. In other words, it is the feeling of collectivity with respect to value sharing and time-space arrangement. For example, each client’s expectations are satisfied in the product accessed, and each partner has the feeling of a continuous access to the organization and its products. The description of a VO as a dynamic network is related to the fact that organizations or individuals can enter and leave the network at any time. As described earlier, the VO is often based on market opportunities, and the essential element is the corresponding responsiveness. The adequate way to react to a market-based incentive, is through innovative products and services. This is not necessarily only in a technical perspective, and could for instance be related to innovation in organizational design. Several authors state that the partners in a VO are geographically dispersed. The definition of “geographical dispersed” in the work is that “a company is geographical dispersed if the buildings are separated”. Figure 3 shows a classification of geographical dispersion related to business alliances. This factor is one of the most important for the use of ICT in VOs. Technology enables the companies to collaborate independently of location and time, and could give the members of a virtual team a sense of presence and connectivity even though they are miles apart. The VO can be looked upon as some sort of umbrella organization, a met organization. There are all kinds of organizational structures within the cooperating companies, which make it difficult to draw an organization chart. Another implication is the dynamic characteristics of the VO, where the stakeholders in some instances come and go dependent on whether their goals for the co-operation have been met. Mass-customization is related to individual services and products to satisfy the particular needs and wishes of the customers. A concretization of this is the concept of the Virtual Product introduced based on strong interaction with the customer. The lifetime of a VO is widely discussed in the literature, but most of the authors are focusing their definition towards VO as a temporary network of independent companies as stated by (Byrne, 1993). A learning organization can be defined as an organization that practices organizational learning. Conversely, organizational learning is the distinctive organizational behavior that is practiced in a learning organization. An organization that learns and encourages learning among its people. It promotes exchange of information between employees hence creating a more knowledgeable workforce. This produces a very flexible organization where people will accept and adapt to new ideas and changes through a shared vision. Organizational learning is something the organization does; a learning organization is something the organization itself is. Denton, John (1998) has developed model of the creation of learning organization. 1. Learning approach to strategy: enables that formation; implementation and improvement of company strategy are consciously structured as a learning process instead of implementing set solutions. Holmberg (2000) writes that learning strategy is an appropriate alternative to the programmatic strategies (like, for example, is TQM) what are characterized by imitation, imported methods, top-down decision-making and limited focus. 2. Supportive leadership and participative policy-making: ensure that all members of the company have a chance to take part, to discuss and contribute to major policy decisions. Supportive leadership means showing concern for everybody’s needs and problems. Through better involvement accompany increasing commitment and satisfaction with work that lead to better results. Shared vision and values: that unifies individual efforts to achieve both personal and organizational goals and guide people. According to Senge “shared vision is vital for the learning organization because it provides the focus and energy for learning. While adaptive learning is possible without vision, generative learning occurs only when people are striving to accomplish something that matters deeply to them. In fact, the whole idea of generative learning -“expanding your ability to create”- will seem abstract and meaningless until people become excited about some vision they truly want to accomplish” (Senge 1990, 206). 4. Free vertical and horizontal flow of information: enables a continuous information exchange, needed for organizational learning and empowering people. Free flow of information and knowledge inside an organization is an important prerequisite to encourage new ideas and innovation. 5. Supportive organization structure: that enables flexibility and speed in organizational learning and implementing its outcomes. The organization’s structure is based on the need to learn. As tasks, needs, and people change, the structure changes so that customers and employees alike face minimal inconveniences (McGill, 1993). Supportive organizational structure means decentralized hierarchies, loosely formal job roles and existence of internal customers and suppliers. Departmental and other boundaries are seen as temporary structures that can flex in response to changes (Pedler et al., 1991). Sensible amount of strategic rotation of employees between various divisions and functions must foster effects of the free flow of information within the organization. 6. Supportive corporate learning culture: facilitates and fosters efficient organizational learning. It includes opportunities for education, training and development of the whole workforce at all levels. Garvin (1993) suggests starting to build a learning organization from fostering an environment that is conducive to learning. He stresses the importance of time for reflection and analysis, to think about strategic plans, dissect customer needs, assess current work systems, and invent new products. Supportive learning culture includes training in brainstorming, problem solving, evaluating experiments, and other core learning skills (Garvin, 1993). 7. Teamwork and team learning: as the critical link between the learning individual and the learning organization. With continuous learning and an ongoing reflection on results, a team can shift its orientation from knowing to learning, thereby increasing its ability to produce the desired business results (Ober et al. 1996). Huber (1991) formulates the outcome of team learning as a change in the range of the team’s potential behaviors. Edmondson et al. (2001) describe three essential characteristics, which are typical for teams than the new procedure most quickly. They were designed for learning; their leaders framed the challenge in such a way that team members were highly motivated to learn; and the leaders’ behavior created an environment of psychological safety that fostered communication and innovation. 8. Experimenting and risk taking: is activity that involves the systematic searching for and testing of new knowledge. Garvin (1993) suggests that experimentation must be motivated by opportunity and expanding horizons, not by current difficulties (Garvin, 1993). To encourage experimentation, fear of failure must be eliminated and management must be committed to continuous experimentation as a means of institutionalizing learning (McGill, 1993). 9. Learning reward system: that keeps organizational learning a systematic process that recognizes and reinforces learning. Intellectual diversity and dissents are not only accepted but also encouraged in order to improve experience (McGill, 1993). Punishments for failures are also eliminated. 10. Environmental scanning: to observe changes and trends in external environment, learning from best practices of other companies (including competitors) in the same and also other industries. Customers and suppliers are engaged in learning activities. The concept of knowledge as the founding block for attaining competitive advantage has become quit prevalent in manager studies. All knowledge should begin form a piece of information. For the conversion of information into knowledge there is a critical aspect to be noted. This is related to the timing of retrieval of information. Virtual Organization examines the concept technologies and issues surrounding virtual organization from knowledge management prospect. It ideates foundational concepts, surveys KM technologies that support and looks at case studies of in the private and looks at casestudies of in the private and public sector.